There’s no bigger representative of mixed martial arts than the UFC, which has grown into one of the most popular sports in the world. Long before the UFC became such and overwhelming success, it was a brutal, bizarre and often blurred path down a road untraveled. 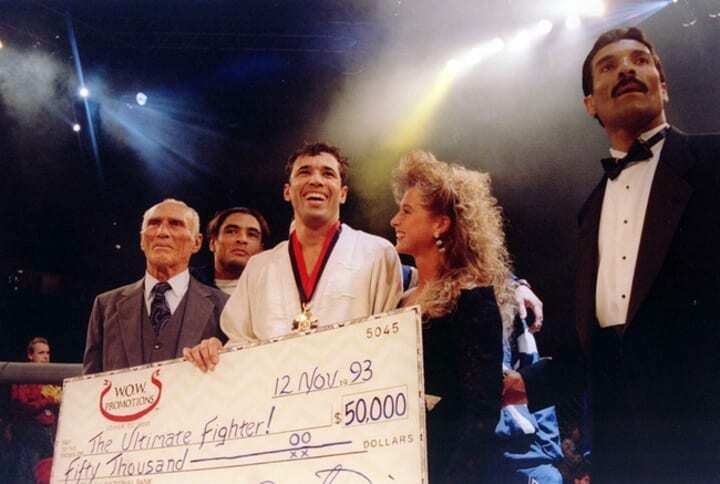 Today’s championship fighters are honored with unparalleled glory as the greatest mixed martial artists, but that term was essentially nonexistent prior to the UFC’s inception. Follow MMA’s many forms in its journey through time from ancient Greece to Brazil, the United States and all around the world. 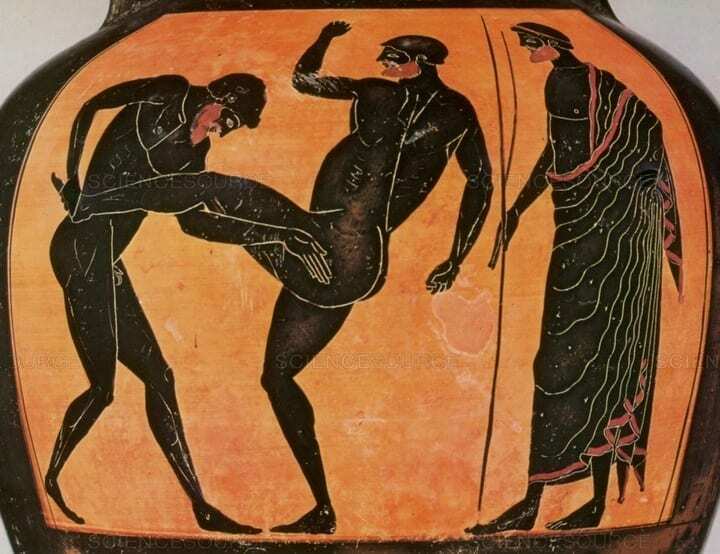 To find the earliest known origins of mixed martial arts (MMA) and its predecessors, we have to turn back the clocks, and we’re talking waaaaay back – all the way to 648 B.C., in Greece. Much like combat sport fans desire today, a combination of wrestling and boxing allowed for full test of might to determine who was truly the superior fighter. 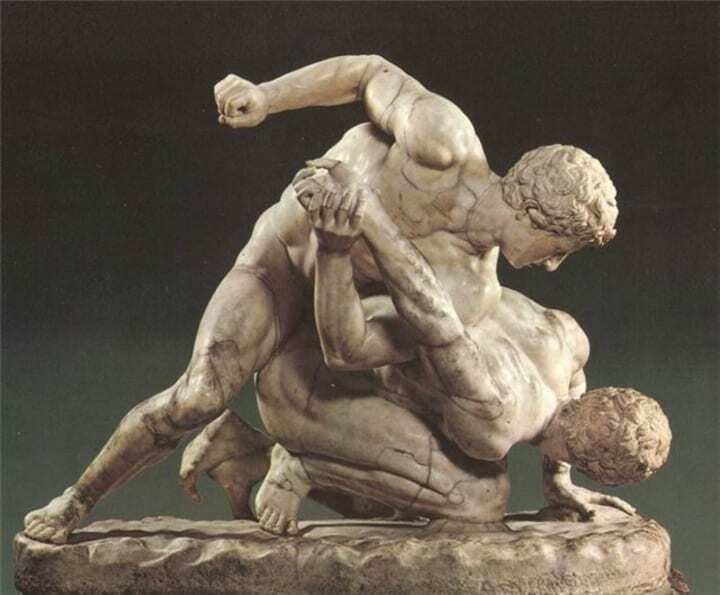 As is often the case in ancient times, pankration was far more brutal than contests today. The only two rules in pankration: No biting, and no eye gouging. Rather than tap out to submit defeat, competitors would raise a pointer finger. That sounds fine, until looking all the way down at the other end of the spectrum where a broken bone wasn’t as nearly as bad a way to lose as… death! It wasn’t exactly common, but was a telling sign of just how ruthless sports’ roots are, as its popularity as an Olympic event continued for a solid 1,400-year run. 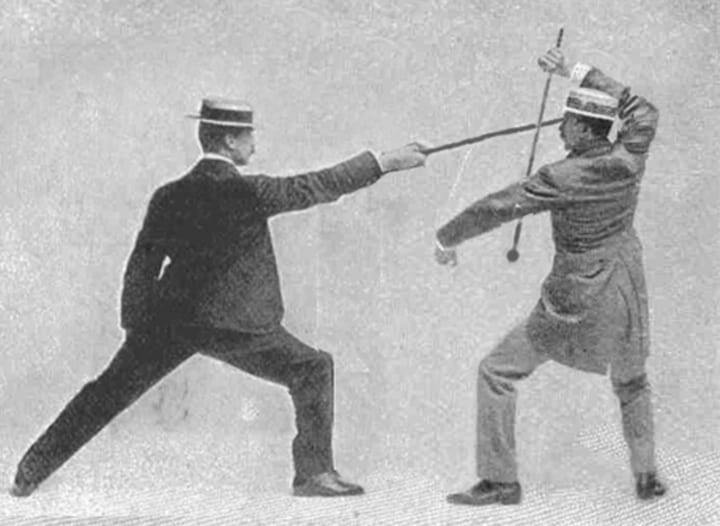 Now jump way ahead to the late 19th century, when separate worlds came together in the form of Bartitsu, a hybrid martial art and self-defense developed in England by British engineer Edward Barton-Wright from 1898-1902. Having lived in Japan for three years, Barton-Wright combined his previous combat studies from throughout Europe – Swiss wrestling (schwingen), British boxing, French kickboxing (savate) and cane fighting (canne de combat) – with judo and jujitsu. 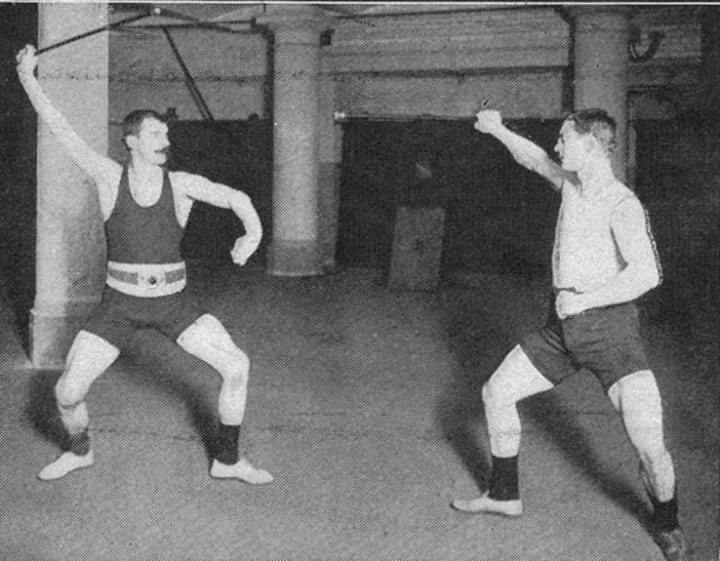 Incredibly, even though Barton-Wright’s attempt to teach Bartitsu in London was completely new and served as a completely unique and innovative martial art in Western society, it ended up being little more than a short-lived fad. Had it not been for Sir Arthur Conan Doyle’s Sherlock Holmes 1903 piece, The Adventure of the Empty House, mentioning his use of “baritsu” for self-defense, this early implementation of MMA would have very likely been lost to time. Now we’re really getting to the big stuff. In 1914, Japanese judoka (judoka practitioner/master) Mitsuyo Maeda emigrated to Brazil, where he befriended Gastao Gracie, an important business partner of the American Circus in Belem. There, Maeda did what he had around the world, accepting challenges in no holds barred competitions. Around 1917, Gracie brought his oldest son, Carlos (then 15), to watch Maeda compete. Gracie hoped his son, who had been highly active and aggressive throughout his childhood, would might find an outlet in this wrestling. Carlos was amazed, infatuated by Maeda’s ability to take down a larger opponent, and Maeda was willing to take him under his tutelage. While Carlos studied the art of self-defense under Maeda, he was not the only eager pupil, teaching his brothers while completing his training over a few years. They honed their craft, developing what would come to be called Brazilian jiu-jitsu (BJJ). Helio, the youngest Gracie sibling, had too frail a physique to compete like his brothers, so he watched and studied from afar. With age, Helio’s strength grew. After years of watching his brother teach his martial art, he too joined in, proving to be an excellent instructor despite his comparatively weak frame. 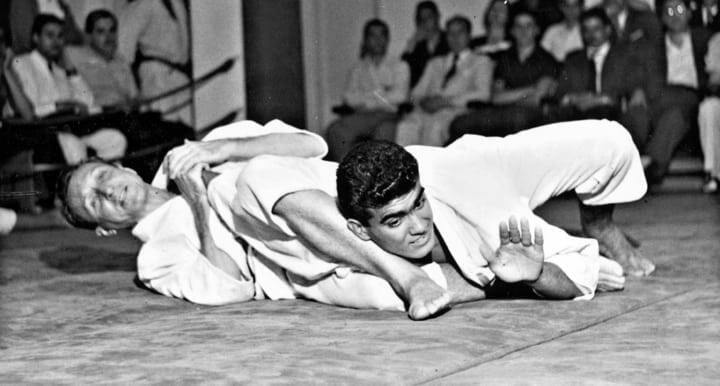 The evolution of MMA in many ways began in Brazilian circuses like the kind Gracie ran. 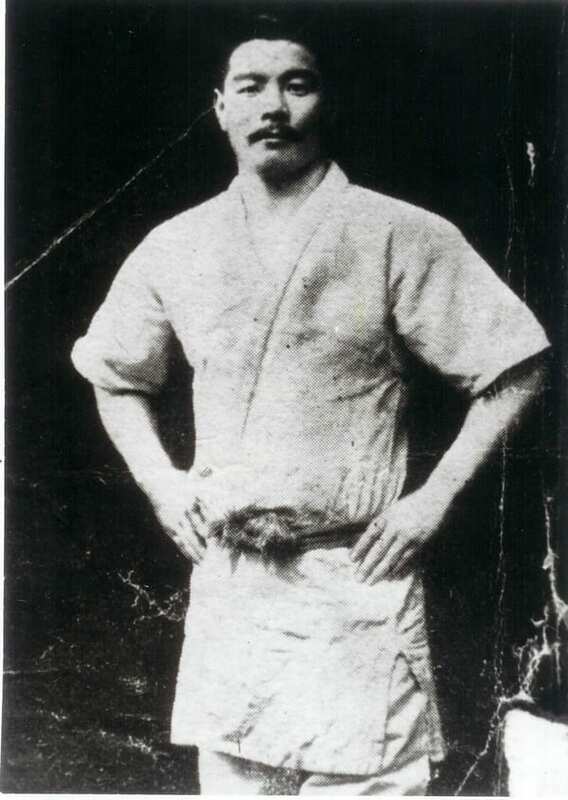 Competitions such as the ones Maeda competed in were called “vale tudo,” meaning “anything goes” due to the minimal rules structured around the fight. The Gracies followed suit in searching for tests of might and their reputation soon preceded them. 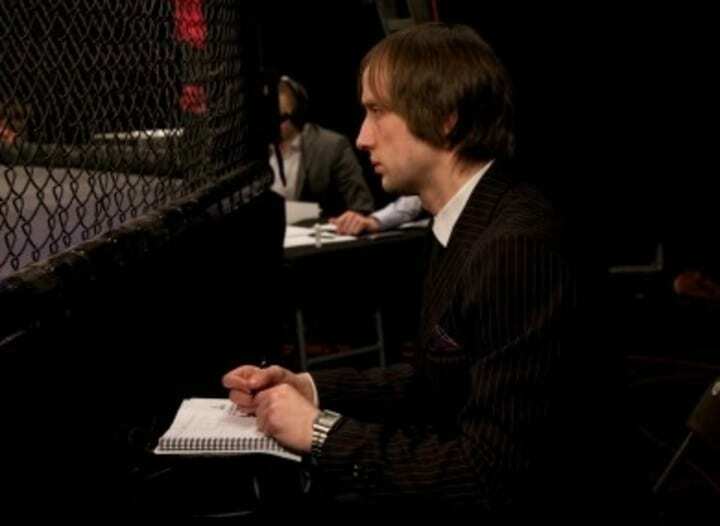 Vale tudo at the circus soon developed into the next major stepping stone toward MMA. As the family developed the Gracie Academy, Carlos looked to promote Brazilian jiu-jitsu by proving its superiority to other martial arts. During the 1920s, as the Gracies continued to craft the various elements of grappling and ground fighting into BJJ, Carlos looked to show that their family of instructors at the Gracie Academy could defeat any other form of combat by issuing an open challenge and cash prize to any winner through a newspaper. The Gracie Challenge was born. “Gracie Rules” barred winning in the form of a pin or throw, rather one could only claim victory via submission or knockout. Many came from all backgrounds: Boxers, Capoeira fighters, wrestlers, judokas, karatekas (karate practitioners). 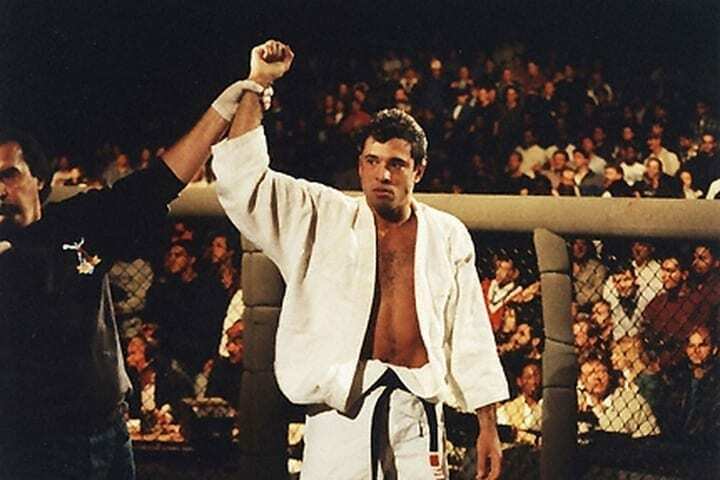 Time and again, public and private bouts ended in the Gracies’ favor, proving the efficacy of BJJ. With age, Helio blossomed into a true innovator, as he perfected the teachings of his brother, Carlos. While the base components of what Carlos taught were valuable, Helio sought to make the various techniques more efficacious. 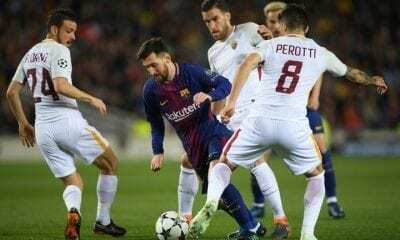 He took technically sound ground moves and perfected form, utilizing leverage and positioning, so that his physical “inferiority” to others didn’t matter. 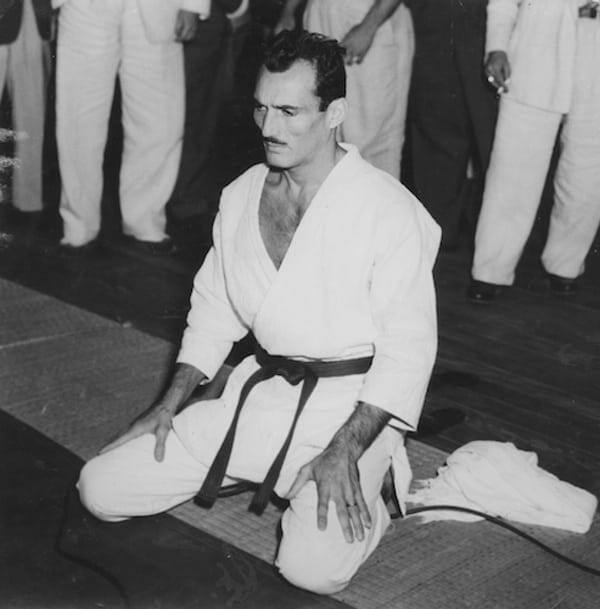 Gracie took on challengers of all backgrounds and disciplines starting in the early 1930s. Though he did not win every match (though he barely lost either), his exhibitions continuously amazed crowds and stunned opponents. 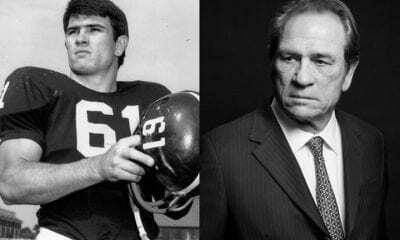 He took on everyone, all of whom looked to have an advantage, be it height, weight or age. 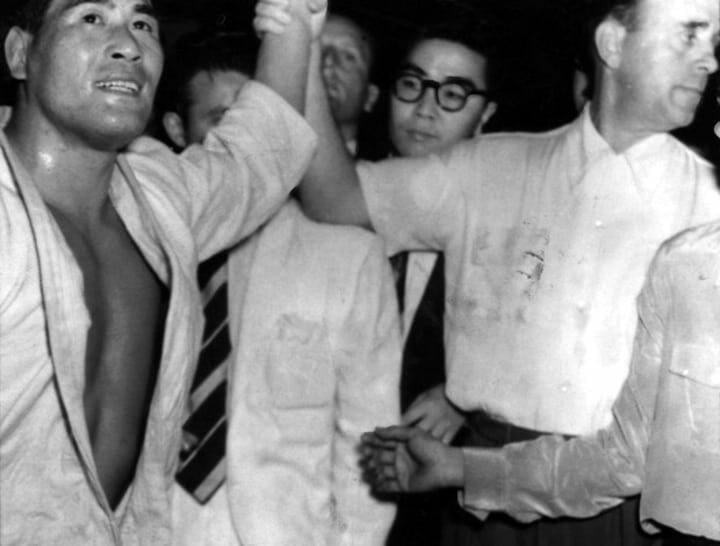 Helio took on world-class fighters even as he grew older, matching up with men who weighed as much as 80 pounds more or were 20 years his junior and in the prime of their youth. When he did lose, it was only because he could no longer compete, like the time he faced the world-famous Masahiko Kimura in 1951, when he let Kimura’s eponymously-named armbar break his arm rather than tapping out. 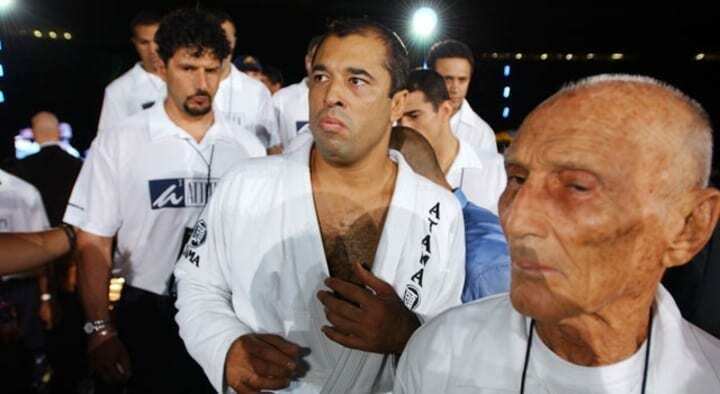 While the family has continued the Gracie Challenge legacy, Helio’s legendary stories drove BJJ to world fame. Even his final match, one that also ended in a loss against a former student, leads one to marvel at the possibilities attainable through jiu-jitsu. A 43-year-old Helio faced Valdemar Santana. Despite Santana being 16 years younger and weighing 60 pounds more, the match reportedly lasted well over three hours! While the Gracie family laid the foundation of MMA through BJJ in Brazil, another star was born in Bruce Lee. 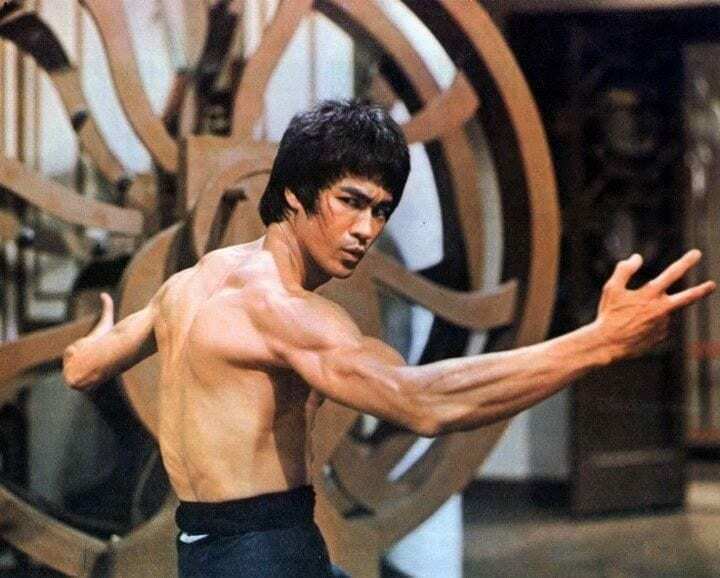 Known for his Hollywood fame and martial arts films, it was his renowned philosophy called “Jeet Kune Do” that that influenced and inspired a movement. 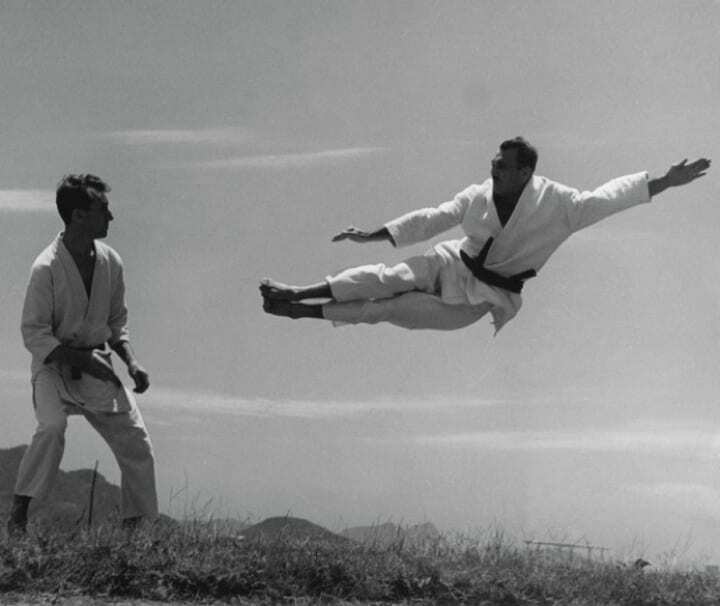 From the late 1960s through his death in 1973, Lee practiced and preached the concept of “the style of no style.” He believed one must focus on practicality, flexibility, speed and efficiency, using a wide array of methods rather than conforming to one martial art. Between Carlos and Helio’s children, the Gracie family grew to look like a small army of warriors. They continued to carry on their parents’ legacy, honoring the Gracie Challenge, as BJJ continued to gain momentum. 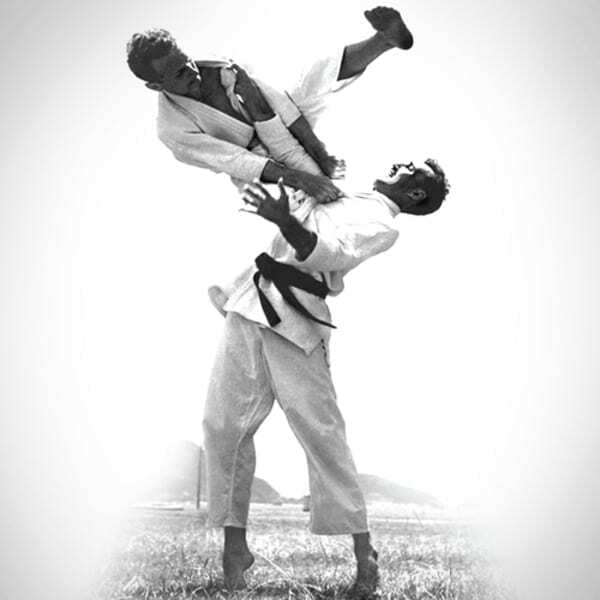 Entrepreneur Art Davie saw a video series, Gracies in Action, depicting Gracie jiu-jitsu students and family dominating opponents from other martial arts and was blown away. 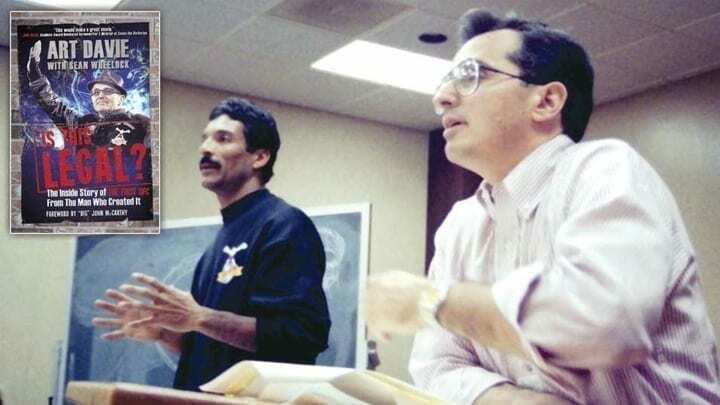 Davie saw an opportunity and, in 1993, presented an idea he believed had major potential to renowned film director and producer John Milius — famous for the Patrick Swayze movie, “Red Dawn” — and Helio’s son, Rorion Gracie. 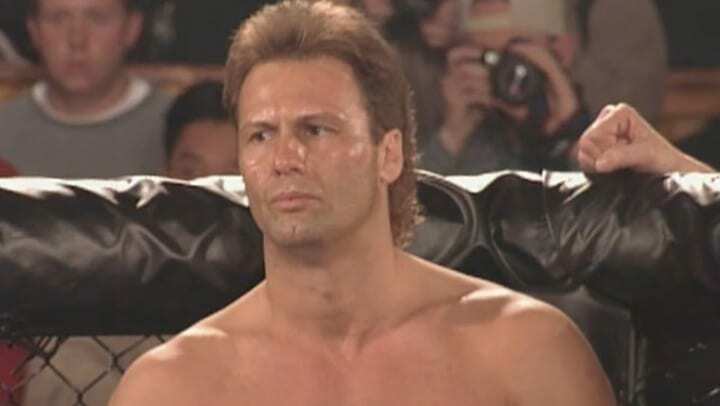 Davie called his idea “War of the Worlds.” It would be an eight-man, no holds barred elimination tournament similar to the vale tudo matches he had seen on the videos. Intrigued by the concept, Milius and Gracie agreed to come on as creative directors. The trio sought investors to launch WOW Promotions. Next, they look for a television partnering, believing a pay-per-view (PPV) option would make the most sense, as this could launch an entire franchise. Though many companies closed their doors to the idea, Semaphore Entertainment Group (SEG), a company already experienced with “alternative” events, opposed to mainstream sports and competitions, took interest. SEG came in hot with critical input from the get-go. Knowing what an asset a signature look would be to the brand, they brought in talented art director Jason Cusson. Cusson was responsible for creation of the now iconic Octagon. With the Octagon trademarked, SEG had another crucial move up its sleeve. The Octagon provided some serious eye candy to the concept (seriously, this things screams “two men enter; only one leaves”), but now it needed to sound as good as it was going to look. 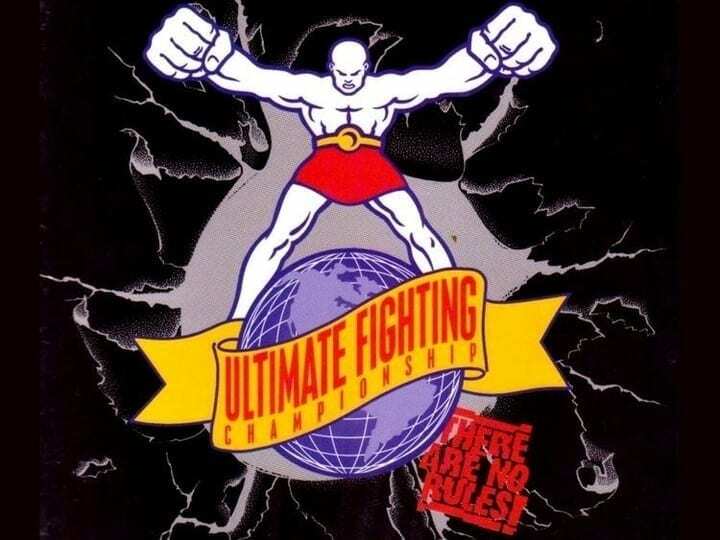 So, SEG dropped the event’s old name and introduced Ultimate Fighting Championship (UFC). While WOW and SEG were gearing up for the UFC’s first event, Japan was actually in the midst of its own MMA concept created by two catch wrestlers, naming it Pancrase. Sound familiar? Competitors fought to be named “King of Pancrase.” Being such a groundbreaking concept, the premiere event sported some of the biggest names that helped shape MMA, including Pancrase founders Masakatsu Funaki and Minoru Suzuki and the great Bas Rutten. 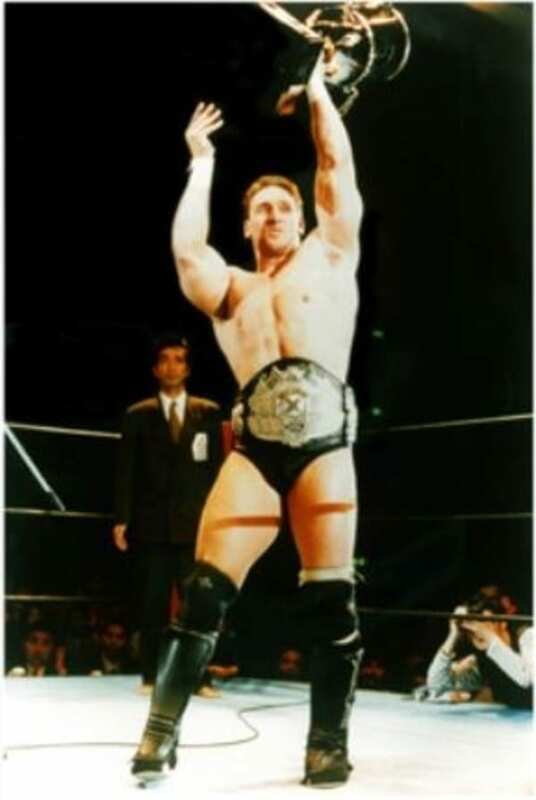 However, it was another soon-to-be giant of the industry, Ken Shamrock, who became the world’s first King of Pancrase Open Weight champion. A sporting event as cutting edge as the Ultimate Fighting Championship required an equally wild promotional push, which is exactly what it got. Okay, maybe it wasn’t flawless. Technically, there were a few rules. If we’re being literal, there were actually only a couple rules: No eye-gouging and no biting, no groin shots. That’s about as minimal as it gets as far as guidelines go. As for how the rest of the fights’ structure, minimal definitely remained the M.O. 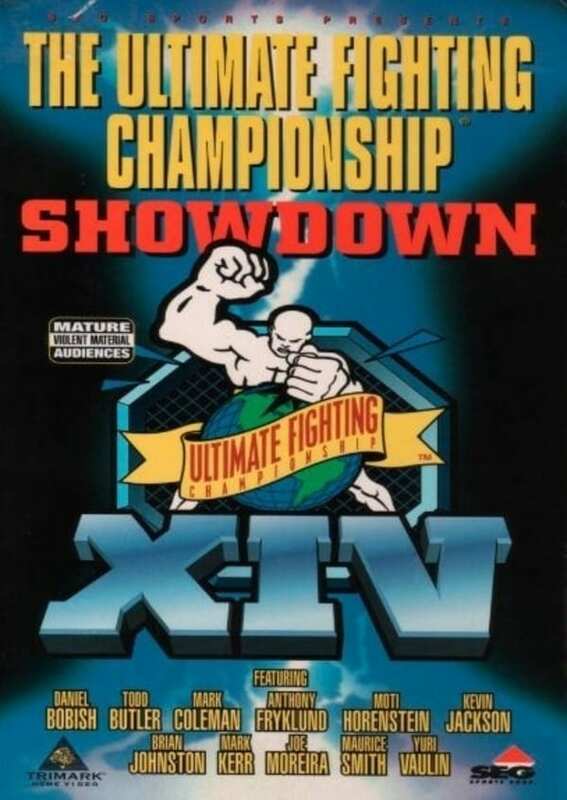 In November 1993, the big night had finally arrived, as Denver, Colo., played host to UFC 1. At the time, (most) fighters really only stuck to one discipline and had little, if any, experience going up against a someone from a different combat sport. These eight pioneers were truly stepping into uncharted territory. Each fight would only end after a knockout, submission or if a competitor’s corner threw in the towel. Should any of those three golden rules be broken, the offending fighter would be fined $1,500 rather than disqualified. The fight featured an eclectic collection of fighters from differing combat sports: kickboxing, savate, taekwando, American Kenpo, shootfighting, sumo wrestling, boxing and Brazilian jiu-jitsu. Wanting the Gracie name to be represented well, Rorion selected his younger brother, Royce, to enter the tournament for a shot at the $50,000 grand prize. 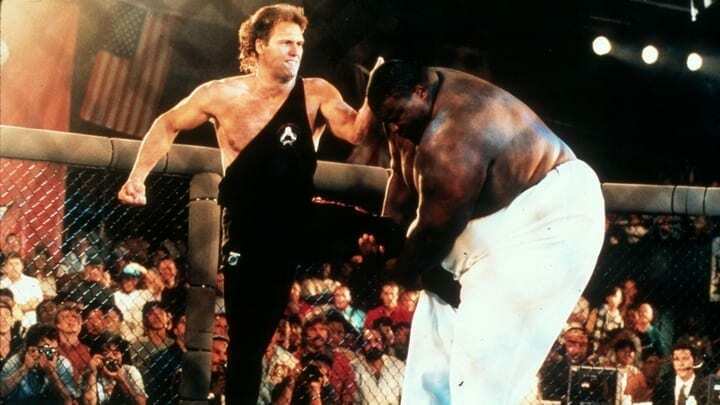 UFC 1 ended up being a smashing success in many ways. The Gracies finally got to put BJJ to the test against top talent in a format more accessible than ever before, fighting in front of a packed house of 7,800 people. Spectacular as the attendance was, the real sign that the UFC held a promising future was the final buy rate of nearly 87,000 PPVs! Best of all (for the Gracies, at least), Rorion tore it up in the Octagon. The competition didn’t stand a chance against Rorion, as he submitted his way straight to the top, defeating Golden Gloves champion boxer Art Jimmerson in the first round, shootfighter (and recent Pancrase champ) Ken Shamrock, then World Savate champion Gerard Gordeau in the finals to win. Though the UFC’s thrilling debut gave plenty of reason for optimism, the event was not even remotely close to a polished product. Pretty much any and every component of the contest could use fixing in one way another. If there was one guarantee in the coming tournaments, it was that “room for improvement” was always be available. This was the wild west of combat sports and it showed … in the best and worst of ways. One of the most insane and absurd signs of the UFC’s structure was that there were no weight classes. Sure, in a way that’s actually closer to the reality of the “real” hand to hand combat, but some of the fights that went down were just plain silly. Take UFC 3, for example. In the first round, 5-foot-11, 200 lb Keith Hackney was pit against 6-foot-8, 400 lb Emmanuel Yarbrough! On the flip side of that coin, Hackney is known by many as “The Giant Killer” for taking down the Octagon’s Goliath. It took 11 events for the UFC to realize weight classes may make for a fairer fights, finally splitting into two divisions for UFC 12: light heavyweight (below 200 lb) and heavyweight (200 lb and up). 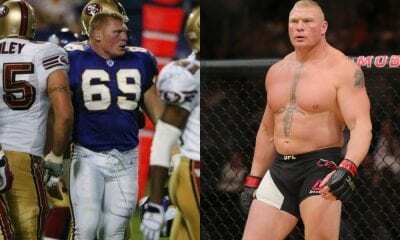 Even then, that’d be a guy like Hackney stepping in the ring with with the fire-breathing nightmare that is Brock Lesnar. Yeah, that’s a hard pass. Since Hackney’s been such a shining example of our rough-around-the-edges UFC, let’s look at his next appearance at UFC 4 to see what might be wrong with a fighting contest consisting of two rules. What problems could possibly arise? Well, Exhibit A shows Hackney delivering REPEATED groin shots to his opponent, Joe Son, until submission. It actually wasn’t until UFC 14 that a lot of seemingly obvious rules were first implemented. The fact that it took 10 more events to ban groin shots after Hackney hit the sacky into submission is definitely a head-scratcher. While one man’s card was being revoked by force, another fight featured an impressive gentleman’s agreement, when two fighters who both had ponytails agreed to not pull each other’s hair. UFC 14 finally banned hair pulling, leaving nothing to chance. On a more serious safety note, the dis-allowance of kicking a downed opponent (soccer kicks) was a gigantic step in the right direction for both the young promotion’s image and fighters’ safety. Positive as that step was, the other significant change has been a subject of much controversy to date. UFC 14 introduced mandatory gloves. Seems like an obvious improvement for fighters’ safety, right? It’s a bit more complicated than that. Gloves are actually used as a protective measure for the hands rather than the opponent taking the hits. In fact, even though gloves may appear to soften the blow, this allows for harder punches, meaning the brain can get rattled even worse. A broken hand can be mended, but avoiding that by risking further brain damage simply doesn’t make sense. For an organization that promotes itself as having no rules, sweet mother of stipulations, was there a ton to keep track of in the early years. Looking back on it now, the current state of the UFC and MMA should be eternally grateful for the nonstop testing of rules and regulations, but talk about a headache at the time! One of the biggest issues the UFC constantly toyed with early on was deciding on the optimal time limit for each bout. We’re talking no consistency whatsoever. Time limits were removed and restored at a staggering rate, while the tournament’s structure saw its own share of repeated tinkering. Consider UFC fighters today, who have to worry about stepping into the Octagon with the scariest mixed martial artists in the world. Now consider having to step into that cage where the time limits last time no longer exist or are slightly tweaked a few minutes shorter or longer. 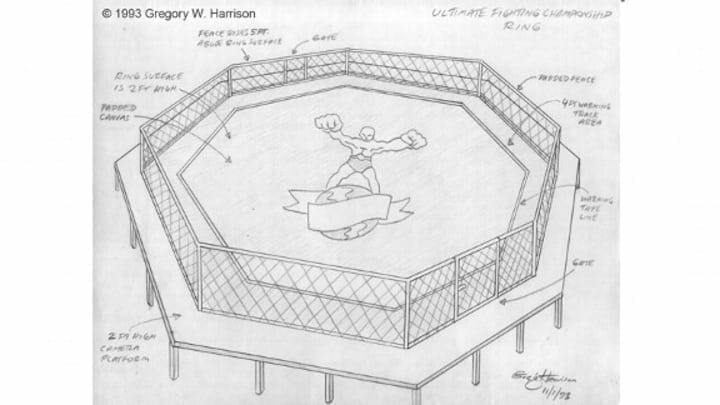 The UFC’s pioneers didn’t just having fluctuating time limits, a series of missteps (that actually led to a draw at UFC 5) forced the addition of a panel of judges, which then saw its own problems that needed fixing. 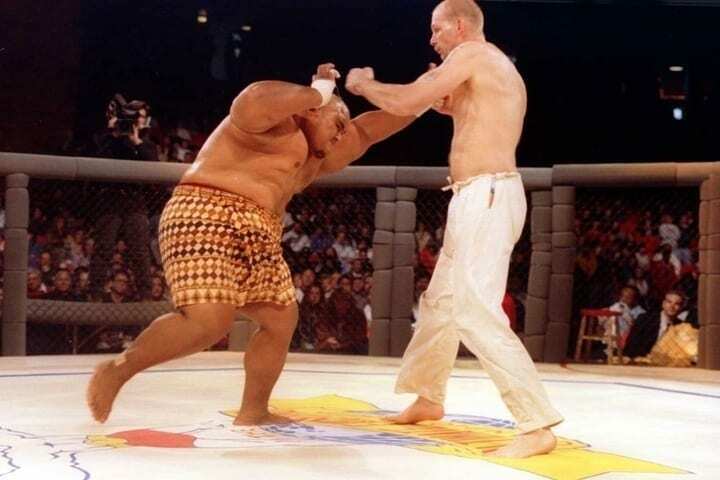 Further restrictions to protect the athletes were introduced in UFC 15 protecting the head and neck, but it was UFC 21 when things really made significant progress in the eyes of the general public, who still saw the combat sport as little more than a violent gimmick. UFC 28 was the first UFC event to officially operate under the New Jersey State Athletic Control Board’s “Unified Rules of Mixed Martial Arts” that are still used today. Finally, a firmly established set of rules could govern safety measures covering everything: rules regarding fouls, regulations on attire, judging criteria, medical requirements, rules on round/time limits, a new weight class system (re-aligned to today’s standard in UFC 31) … the whole nine yards. Throughout all of this, the growing promotion continued to build its brand. 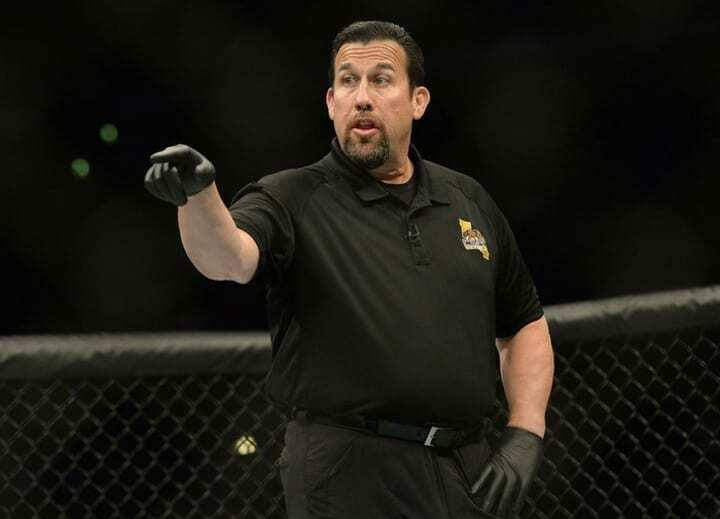 All the way back at UFC 4, longtime referee “Big” John McCarthy – his presence in the Octagon came to be as much a staple to the events as some of the fighters – worked his first event. 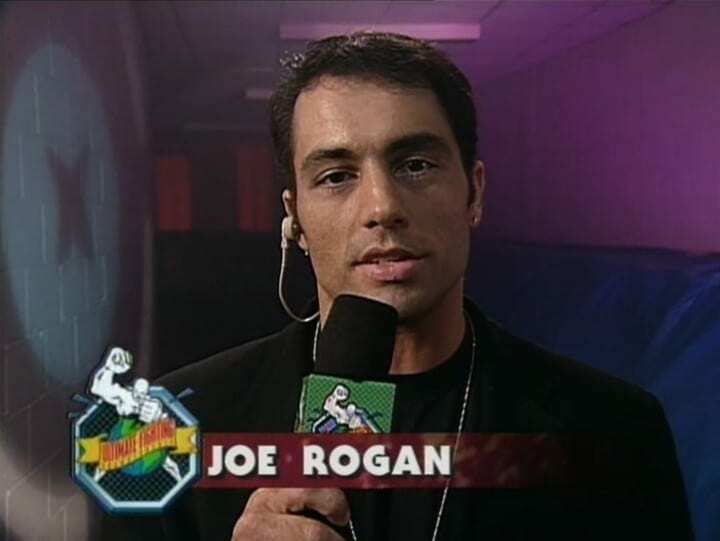 Another important addition came at UFC 12 when stand-up comedian Joe Rogan joined the UFC family as a backstage/post-fight interviewer. His experience competing in various martial arts and celebrity in the acting and comedy world only further boosted the promotion’s draw. Even as the pieces seemed to be slowly but surely falling in place, the reality was that the business was tanking, and it had been for a while. In fact, when everything finally looked to be on the up and up with the NJSACB’s unified, the UFC was in the midst of its roughest stretch. For seven straight events (UFC 23 through UFC 29), not a single home video or DVD was released, as the company was spiraling into bankruptcy. The lowest point in MMA’s biggest promotion turned out to be the greatest thing that could have happened. 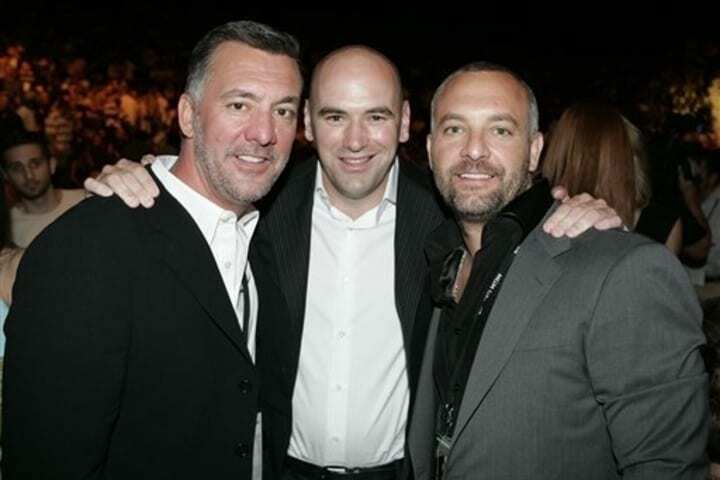 In December 2000, Station Casinos executives Frank and Lorenzo Fertitta and business partner Dana White approached SEG about purchasing the UFC. Despite the promotion’s financial woes, the trio saw how rabid its fanbase was and saw major potential. The business partners created Zuffa, LLC and, in January 2001, was able to purchase the UFC for $2 million. At the time, many were shocked out the outrageously high price they paid for a floundering company, but White, who took over as President to become the face of the company, only saw dollar signs. Things still took time to start turning around, but White worked like a master puppeteer, making sure every piece fit perfectly in place from the top to bottom of the organization. White got to work bringing in big names and top talents. The company was still in the hole, but when UFC 40 – featuring a Tito Ortiz vs. Ken Shamrock grudge match – there was an undeniable change in momentum. The atmosphere was unparalleled, the fights incredible and the 150,000 PPVs nearly doubled that of the previous event. Heading into the mid-2000s, it was all uphill, as major names like Chuck Liddell, Randy Couture, Tito Ortiz and BJ Penn among countless others filled the card at every event. Milestones kept coming. 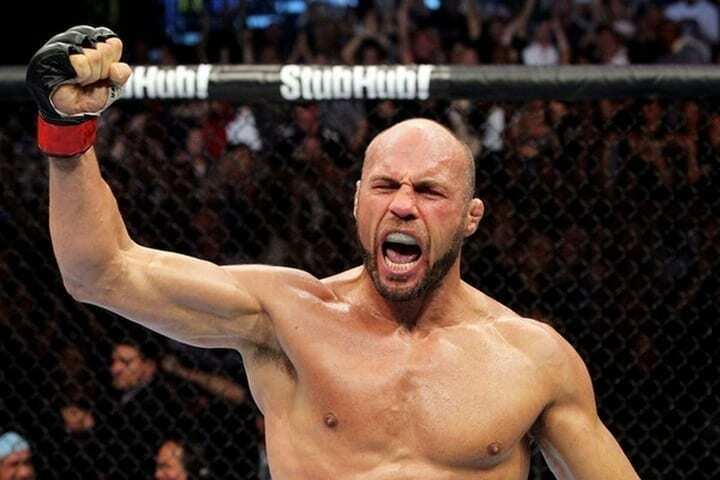 At UFC, a matchup between Liddell and Ortiz marked the first one million PPV purchases. That success undoubtedly came in large part thanks to the 2005 debut of The Ultimate Fighter reality show that offered amateur fighters a shot at making it to the UFC. Perfectly timed to come on right after the WWE, the show was wildly successful, bringing attention to the general public in ways it never before could. By the late 2000s, the UFC was an unstoppable force that continued to grow, as it absorbed its competition (and fighters) like the purchase of Japanese rival promotion Pride Fighting Championships in 2007 and Strikeforce in 2013. Bigger names kept coming in, as fight cards kept drawing bigger crowds. 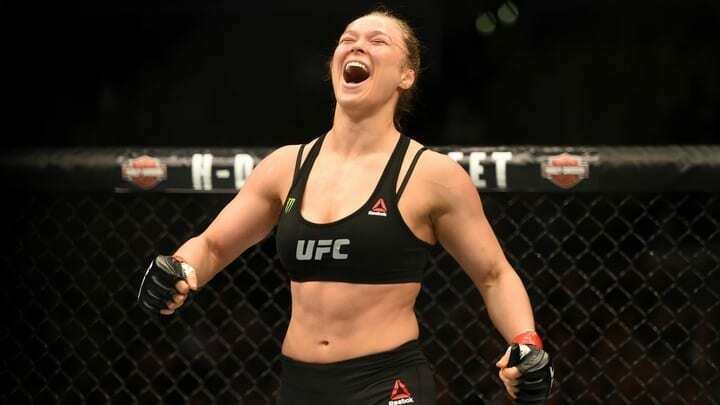 With the absorption of Strikeforce came top fighters, including the now world-famous Ronda Rousey, who made history with her debut fight at UFC 157, proving that women could draw enormous crowds, too. We’re talking gigantic! When Rousey and Holly Holm faced off at the main event in Melbourne, Australia at UFC 193 in 2015, a record attendance of 56,000 packed the house. Now superstar fighters in the UFC have reached levels of celebrity comparable to that of the most famous athletes around the globe. 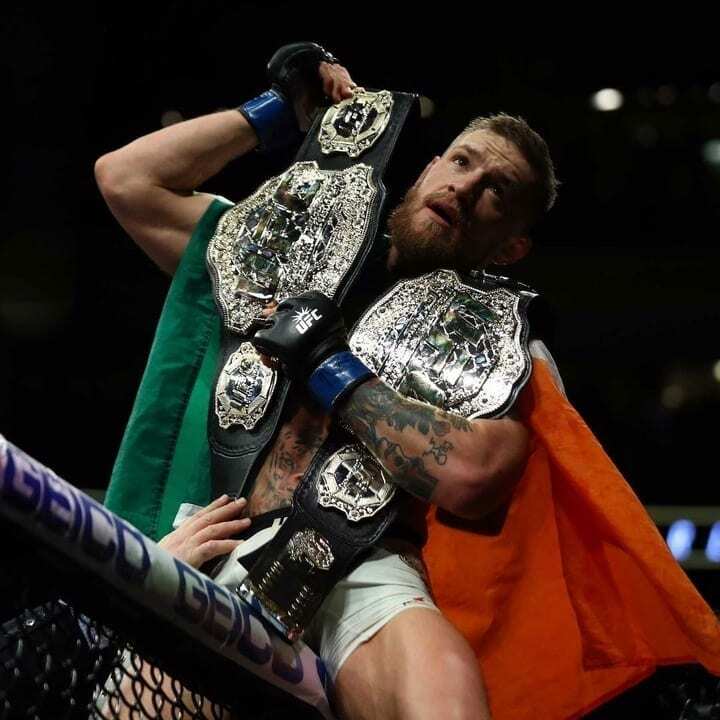 There’s no better man to prove that than Conor McGregor, who has hauled insane numbers with so many of his matches, shattering records left and right with every new match. 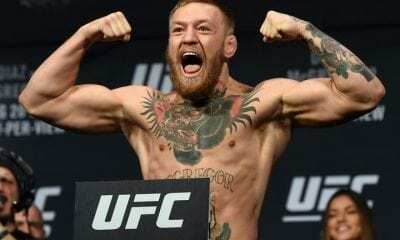 From millions of PPVs coming in to catch a glimpse of McGregor’s greatness to his enormous purse for each fight, there are endless signs pointing to one thing: MMA has become more popular than ever, and the UFC has become synonymous with hosting one of the premier sporting events in the world today.